My passion for art and design started with a childhood watercolour paint set. 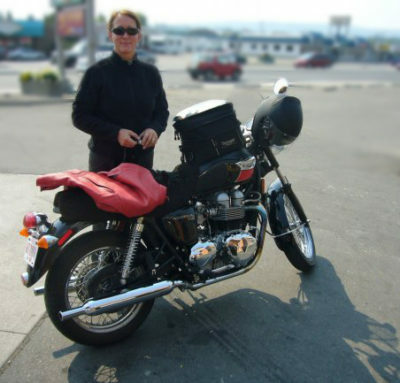 When high school ended, I sold my cherished 72’ Triumph Datona 500 motorcycle to buy a plane ticket. Squeezing all of my belongings into an old army duffle, I flew across the country to study at the Alberta College of Art and Design. I graduated and started living a double life. By day I was a successful illustrator and graphic designer. At night and on weekends, I continued to pursue my passion to paint. Come visit this site again, as I will continue to post new images as I play with acrylics, oil and watercolour. Embracing imperfection, from which surprises often spring….